Pioneers in the industry, we offer mountair 6" exhaust fans, brisk air 10" exhaust fans, trans air 12" exhaust fans, axial air 6, drift air 9" exhaust fans and fresh air fan from India. Removable screw less front for easy cleaning., Easy screw less installation system., Operation indicator light., Stream lies design allowing improved air flow. Light weight, rust proof body & blades. With the flick of a switch one can opt for exhaust mode or fresh air mode in Transair Reversible. 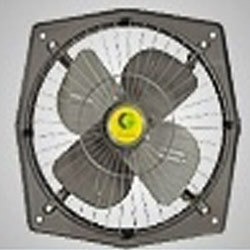 A range of sleekly designed ventilating fans in 100 mm & 150 mm size. Aesthetic good looks, powerful motor and in built front grill helps eliminate all unwanted odours and smoke. Sturdy metal body with metal blades. Well supported by the leading manufacturers of fans and our team of professionals, we manage to bring forth a superior quality array of Fresh Air Fan. Our range is procured from the certified and trusted vendors of the market. With their self-opening louvers, these products provide complete safety from birds and direct rain. 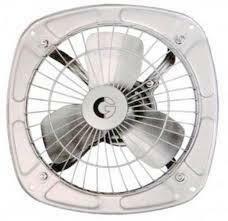 Looking for Exhaust Fans ?